Innovation and growth drive the life sciences industry. Increasing complexity, cost pressures, regulatory issues, and information overload are making innovation harder and harder to achieve. Life Science Analytics Cloud is the leading AI-powered clinical analytics platform that seamlessly integrates, curates, and animates your data, delivering more actionable insights. If you have a limited or siloed view of your data, it has a negative effect on the speed and accuracy of your corporate decision-making processes. Saama provides a holistic and comprehensive view of all your data and delivers solutions tailored to your business, guaranteeing the most pressing problems get solved. Saama employs the focused use of AI to overcome obstacles historically associated with clinical development and improve the life sciences industry’s ability to deliver safe and effective therapies. Intelligently read and use unstructured EMR data while maintaining HIPAA-compliant use of medical text containing de-identified PHI. All data analytics companies process and aggregate data. The key questions are how comprehensive are the data sets that they can ingest, how long does it take to do it, and how much effort do you need to put into doing it. Saama abstracts data management, making it simple and quick to stitch all your disparate data silos together. 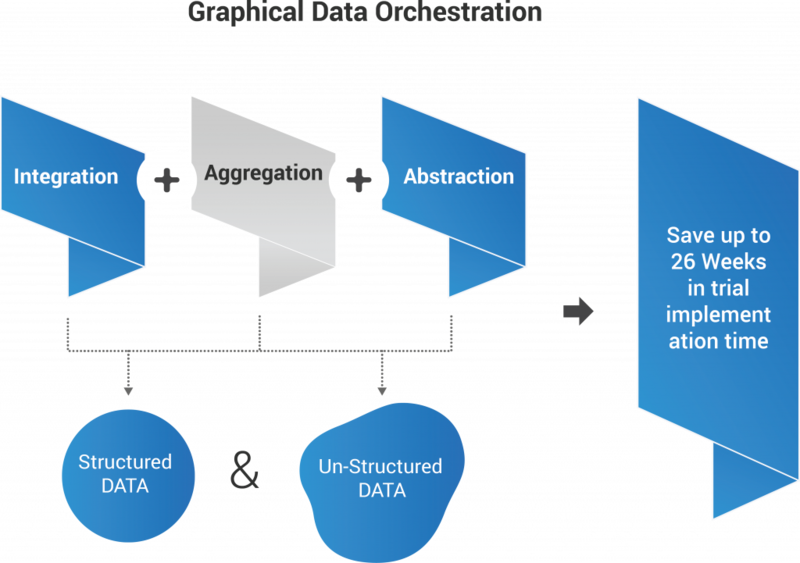 Its orchestration environment integrates and aggregates structured and unstructured data, saving up to 26 weeks in study implementation time. LSAC’s Deep Learning Intelligent Assistant (DaLIA) capability revolutionizes how you interact with and gain insights from your data through an easy-to-use, context as well as domain-aware conversational experience. DaLIA puts you in touch with deep learning, machine learning-augmented functions within LSAC designed to alleviate the challenges inherent in and pervasive throughout the drug development continuum. Managing clinical studies is difficult. What if you could make better decisions, ultimately bringing viable, safer products to market faster? Better planning leads to better studies. What if you could avoid costly mistakes that would impair patient enrollment and proper site identification? Your treatment or drug is approved, but the journey is not over. Would you like to know what market share the treatment commands and how long patients stay on your drug or how effective is it?